USB 3.0 is the third major version of the Universal Serial Bus standard for interfacing computers and electronic devices. Among other improvements, USB 3.0 adds the new transfer rate referred to as SuperSpeed USB that can transfer data at up to 5 Gbit/s, which is about ten times as fast as the USB 2.0 standard. 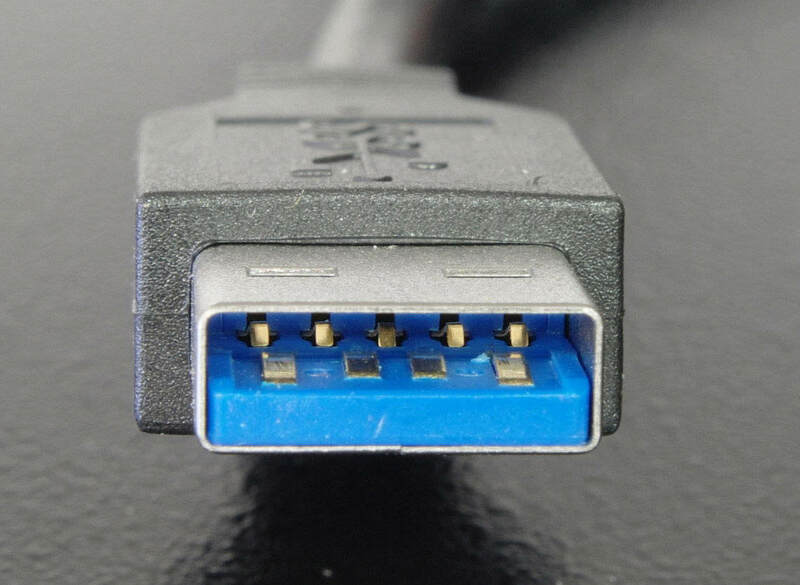 Manufacturers often distinguish USB 3.0 connectors from their USB 2.0 counterparts by blue colour-coding of the receptacles and plugs, and by the initials ‘SS’. Look for blue to ensure that your USB is 3.0 standard. Our photography clients love USB 3.0 sticks as it is over 10 times faster than standard USB 2.0. If you deal with heavy data such as video files, USB 3.0 is the way forward. USB2U supply all of their great value photography USB sticks and box bundles in USB3.0 as standard. Do I need USB 3.0 or 2.0 Memory Sticks? The answer entirely depends on what you plan on using the USB for. If you only plan on storing large videos and multimedia files, or a large number of documents onto your device, we often recommend USB 3.0 due to its superior data transfer rate. If the files you plan on storing are a lot smaller in size i.e. word documents, presentations or low to medium resolution pictures then 2.0 may be more appropriate for you. USB sticks listed on our website are USB 2.0 as standard due to the nature of the clients we often work with. We are however happy to quote for USB 3.0 if required. Additionally, as already mentioned, professional photographers can view the photography section of our website where we have a collection of USB 3.0 memory sticks available to order.